Juicy and refreshing, sorbets sit at the lighter end of the dessert spectrum and are the perfect end to an ever-so-slightly overindulgent meal. They are also capable of deftly dancing the line between sweet and savoury with significantly more ease than ice cream, and savoury sorbets are an increasingly popular addition alongside cured fish and other cold starters. Browse this collection of sorbet recipes for some innovative inspiration, courtesy of Italy's best chefs. 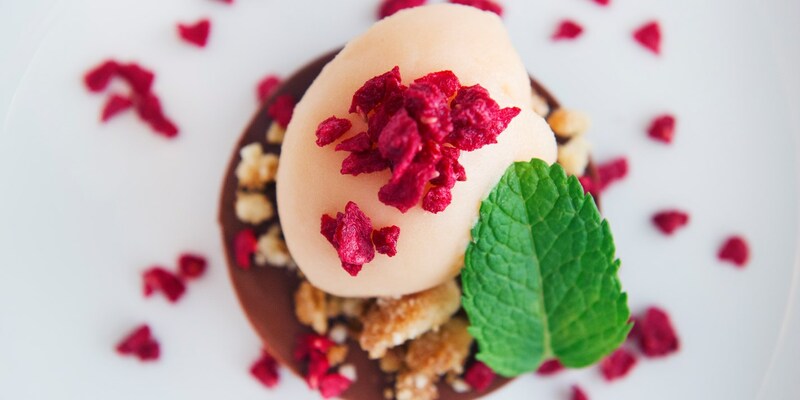 Andrea Sarri serves a boozy Campari-laced sorbet alongside a rich, smooth chocolate mousse, while Daniele Usai's Lemon meringue sorbet recipe skillfully incorporates the flavours of the well loved dessert. Heinrich Schneider prepares a striking beetroot sorbet to pair with a creamy lavender mousse, while Andrea Berton, demonstrating the versatility of the dish, pairs his beetroot sorbet with red prawns and olive oil in a beautifully presented seafood starter recipe.